Park Avenue students show off their creations using upcycled materials. One household’s recycling is Park Avenue’s treasure. In recent weeks, Ms. Kadus was busy collecting cardboard boxes to hold and sort the carloads of recyclables donated by families in the school community – for upcycling! 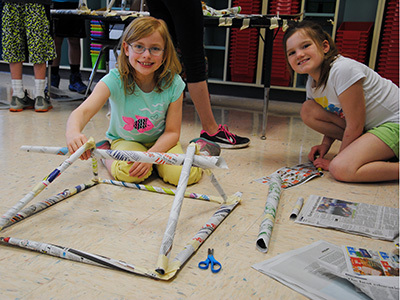 As part of the district’s continued efforts to encourage recycling, reduce waste and increase sustainability, Park Avenue teachers Ms. Berghan, Ms. Campora, Ms. Inger and Ms. Katz created Science Performance Tasks to stir the imagination and guide the students’ upcycling explorations. 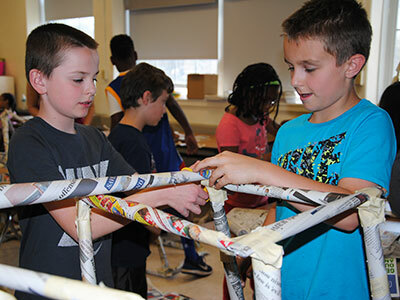 By including recycling and reusing in the science curriculum, Park Avenue students are learning while reducing their carbon footprints. 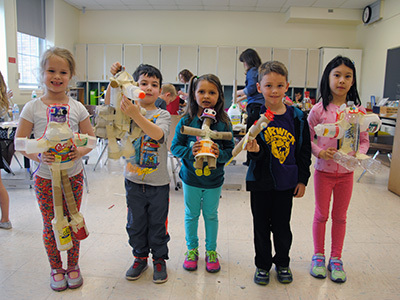 The science performance tasks included Kindergarten classes using recycled containers to build a robot. 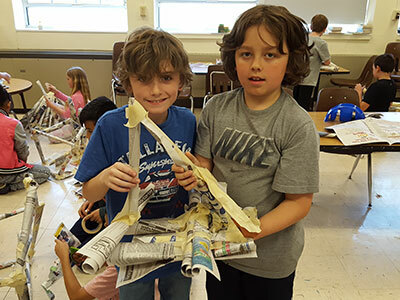 First graders building space ships, second-graders engineering their own toys and third- and fourth-graders constructing solid structures out of newspaper. The students’ upcycling creations are on display in the school hallways – stop by and take a look!